An investigation into the $400 billion global medical device market finds that more than 1.7 million people have been injured and nearly 83,000 killed. One of the fastest-growing segments of that market is spinal cord stimulators, touted as an answer to America's opioid crisis. 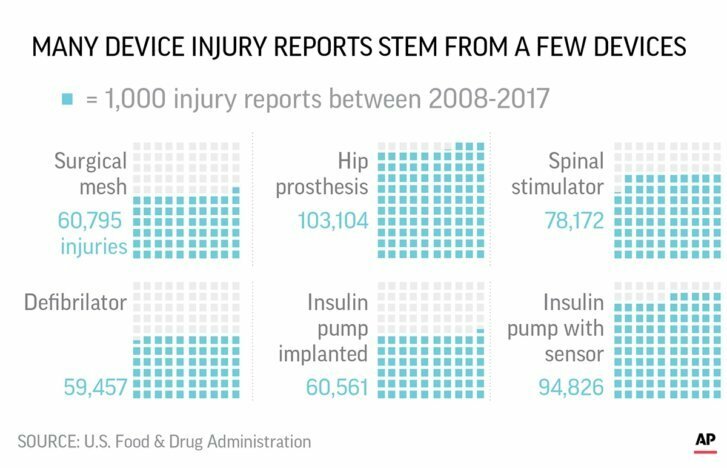 MEDICAL DEVICES Although there are roughly 4,000 types of medical devices in the FDA’s data, just six of them accounted for a quarter of device injury reports since 2008.